Creating outdoor living spaces through hardscaping is one of the best ways to add value and enjoyment to your home. 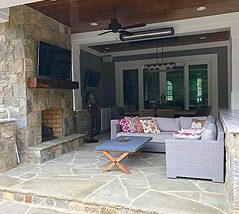 Southern Greenscapes has a number of ways to create outdoor living spaces so you can get the most out of your property. 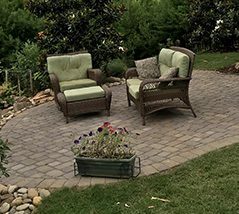 Our talented hardscape contractors use creativity, the best materials, and technical know-how to produce stunning patios, fire features, outdoor kitchens, decks, and shelters. Our patio builders pair beautiful designs with expert workmanship. Choose from pavers, stone, stamped concrete, travertine, or other quality materials that are made to last. 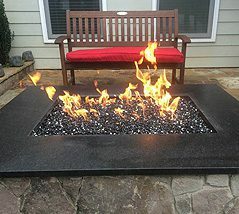 Custom outdoor fireplaces, fire pits, and fire tables turn your yard into a gathering place. We’ll design and build these fire features to seamlessly blend with the rest of your landscape. 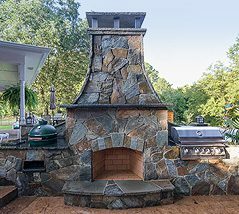 You will be able to cook like a professional in a natural setting by adding a custom outdoor kitchen to your home. We can help you make it your own by adding a built-in grill, smoker, or even a bar area. It’s the ultimate way to entertain! A custom deck extends your living space into the outdoors – the best of both worlds, the comfort of home that allows you to enjoy nature. 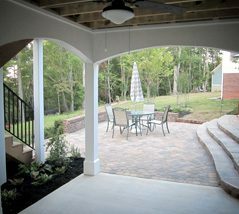 But don’t overlook pergolas and arbors, two ways to add beauty and visual interest to your yard. 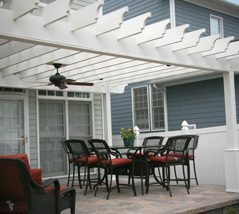 Screened-in porches, covered porches, pavilions, 3-season rooms, sunrooms, cabanas, and pool houses — these covered structures help you get the most enjoyment from your outdoor living spaces. We’ll help you choose the right one for your home. These are just a few of the things Southern Greenscapes can do. We also build pools, install water features, install landscape lighting, and provide landscaping and landscape design services. Want to work with us but don’t see what you need listed here? Give us a call to talk about it. There’s a good chance we’ll be able to help you bring your ideas to life!